Infosys has announced that it has been awarded the LEED EBOM (Leadership in Energy and Environmental Design - Existing Building Operation & Maintenance) Platinum certification by the United States Green Building Council (USGBC) for its entire Infosys Pune Phase-2 campus. LEED Platinum is the highest level of green rating for buildings and with this recognition, the Infosys Pune campus becomes the largest in the world to achieve this distinction. 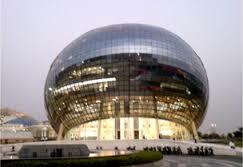 The Infosys Pune campus started operations in 2004 and is spread across 114 acres in Hinjewadi Phase-2. The campus consists of office buildings, residential training facilities, food courts, health and fitness facilities, multi-level parking and can accommodate 34,000 people. In an attempt to make the campus sustainable and resource efficient, Infosys has been following a two pronged strategy since 2008 - designing new buildings to meet the highest efficiency standards, and implementing deep retrofits in old buildings to make them efficient. In new construction category, three buildings in the Infosys Pune Phase–2 campus are certified with LEED Platinum rating. For existing buildings, efficiency improvements were achieved through large-scale retrofit projects in 10 office buildings, three food courts, the employee training center, the guest house and sports complexes across the campus. Deep retrofits were undertaken in many energy intensive areas, including complete reengineering of chiller plants, air handling units, building management system (BMS) retrofit, UPS retrofit, lighting retrofit, to name a few, and were completed within a short duration. These initiatives have helped significantly lower operating costs, enhanced equipment life, created healthier indoor air quality, and improved occupant comfort and satisfaction. The LEED EBOM certification by USGBC is a globally accepted benchmark for design, construction and operation of high-performance existing green buildings. This is one of the stringent green rating tools for existing buildings which verifies that the building is performing sustainably.